*Please see the note at the bottom about the photographs in this article. Cancer has played a large part in many lives, including our own over the past eight years. It was January 2005 when we received the news that Mr. B had colon cancer and eventually learned it was Stage 4 cancer. It turned our world upside down and altered it in ways we could never have imagined. 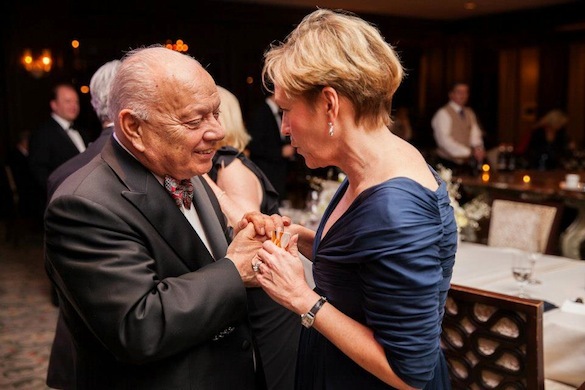 I most likely would not have started this blog nor would I have been writing about this cancer benefit event at Kiawah Island had it not been for the impact cancer has had on our lives. There is no question that this disease brought fear and drastic changes with the diagnosis and treatments, however, it has also introduced us to a new life filled with great friends and unique opportunities to impact others. 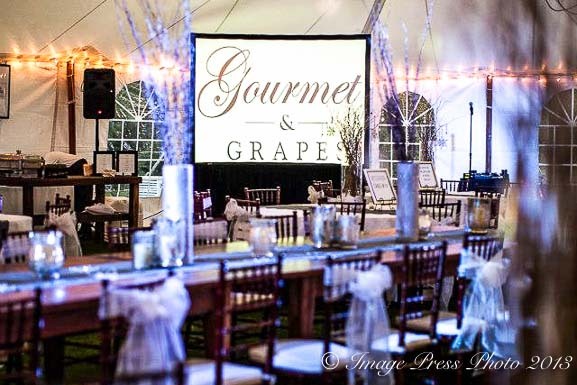 One of these opportunities came when we recently attended the Fifth Annual Gourmet & Grapes Weekend on Kiawah Island. 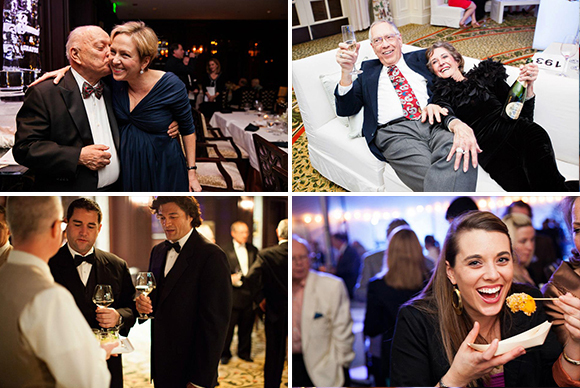 It is the only fundraiser in the Lowcountry which brings together renowned Southern chefs and global winemakers to raise money for cancer research. 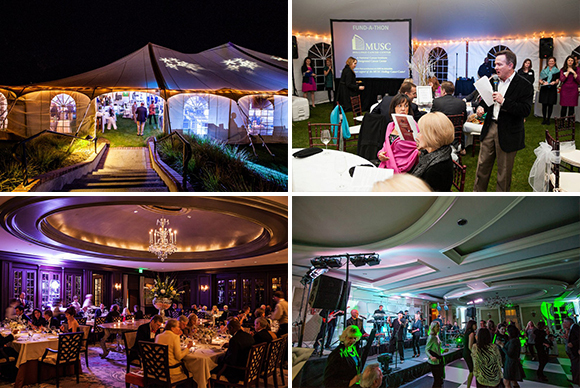 It is a weekend of impressive food, excellent wines, celebrity chefs, and many good times, all to benefit the Medical University of South Carolina (MUSC) Hollings Cancer Center’s clinical trials program. 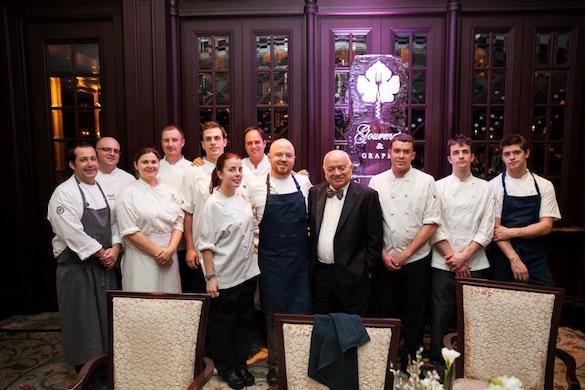 Hosted by The Sanctuary Hotel at the beautiful Kiawah Island Golf Resort, this is becoming one of the Southeast’s premier culinary events and all proceeds go to a cause near and dear to us, cancer research. 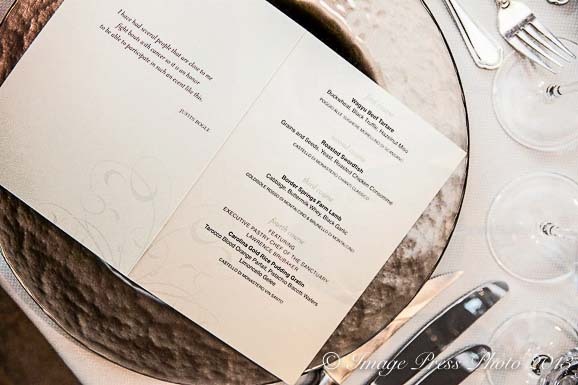 The Gourmet & Grapes weekend kicks off Friday evening with a black-tie affair at the elegant Ocean Room at The Sanctuary. This year’s guest chef for the dinner, Justin Bogle, who has received two stars from the Michelin Guide as former executive chef of GILT in New York City, prepared a exquisite three-course menu incorporating local ingredients. 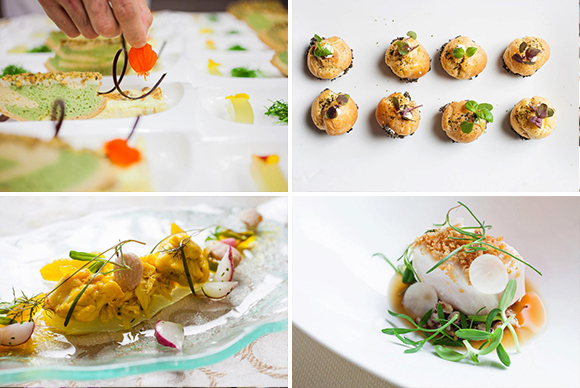 Expertly prepared and beautifully plated, the courses were paired with luscious wines from Tuscan winemaker, Lionello Marchesi, who was quite the charmer. One of the highlights of this dinner was a roasted swordfish that was line-caught off the coast of South Carolina and brought in from the boat at Cherry Point Seafood that morning. The exceptional quality and taste of that swordfish was a real testament to the importance of using the freshest, locally harvested, and sustainable seafood. Chef Bogle, when speaking at the end of the dinner, mentioned the cancer struggles of some of the people who are closest to him, and what an honor it was to participate in the event. Beautiful piece! Thank you for the kind words, outstanding layout and most importantly supporting this event…the attention and help we give those who fight Cancer the better! Roger, Gwen, you both are gems. Roger your strength to look forward as you face the challenge of the cancer and Gwen the support I ascertained as Roger spoke to me of your struggles, so beautiful. Such a fine testament to our human spirit. AND that you translated this new chapter into bunkycooks, double beautiful! May your adventures be many, stories be rich, days be long and laughter, often. I thank Creator that our paths have met and look forward to next time, CHEERS! Thank you so much for your kind words. Yes, it’s been a most interesting journey filled with many good times and the opportunity to meet so many incredible people. Meeting you has truly been our pleasure and we look forward to seeing you during our travels to Charleston and hopefully beyond! What a wonderful post and what an amazing event for a great cause. Isn’t it wonderful when so many talented, passionate and caring people come together in support of something like combatting cancer. Hugs to you both xoxo It is true, your strength is inspiring! Thank you so much. 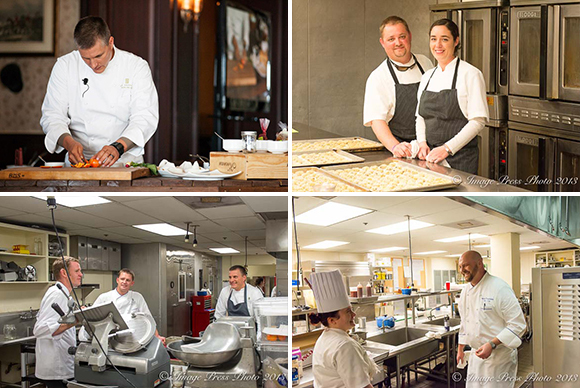 Yes, this is a wonderful event with so many talented chefs and it’s held at one of our favorite places, The Sanctuary at Kiawah Island. You couldn’t pick a prettier place to host such an inspiring weekend. You do get around, my friend! Yes, Chef Deihl’s charcuterie will make your head spin. He is very talented and knows how to create some very unique cured meats. As always, another event beautifully composed in both word and image! Hope money raised exceeded expectations. I can’t wait to visit Charleston. An awesome food experience awaits me! Thank you for your comments. I also hope that they raised more than they expected to during the event. Cancer research is certainly one of the most important needs we have in medicine.